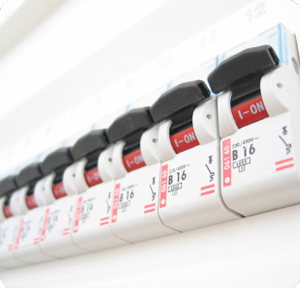 Our fully qualified electricians carry out a range of domestic and commercial inspection and testing. A periodic inspection will test both the state and safety of an electrical installation. A report will be issued to detail system overload or potential electric shock risk. Click here to see the relevant testing intervals for your property. We regularly carry out building inspection and testing in order to provide landlord certificates, and homebuyer certificates. In the event that any recommendations for change are made, we can offer you a competitive quotation and carry out the work should you require. On the completion of our installations we supply our customers with the appropriate NICEIC ‘Electrical Completion’ or ‘Minor Works’ certificate. In addition, when working on domestic special location installations, we notify the local Building Control Officer through the NICEIC.